With Friends Like These, Who Needs Updates? June was a busy month for us here on Epsilon, although the time spent being busy was more in our everyday lives and less on the project. Because of this, our update this month will be a little bit lighter in content, as most of our work on the team recently was put into the coding for the Pokédex and other aspects that will be shown at a later date. In the meantime, we’ll kick things off with some looks into the mapping process for Epsilon, followed by showing the final two admins from Team Olympus and Team Asgard, and ending this month with two brand new plate reveals! When creating Epsilon, one of the biggest changes in comparison to other fangames is the ability to map using the Unity engine. Because of this, maps become much more layered and detailed, and therefore add more time to the process of creating each route and town. For this update, we thought sharing two photos from behind the scenes showcasing the process would be a good insight into how we use the engine. 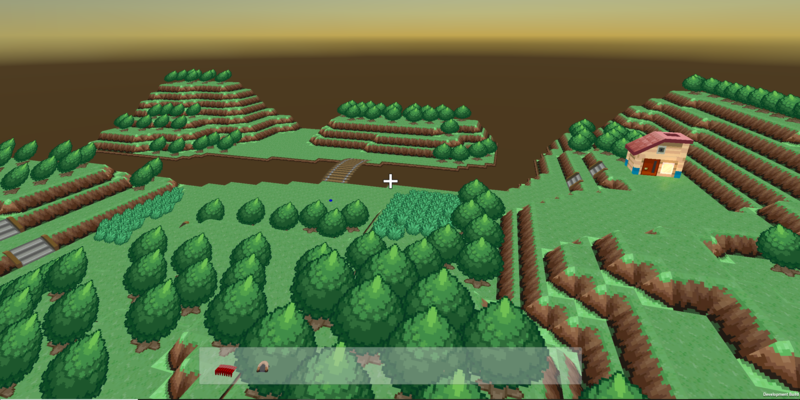 For the map editor, we place the shapes and tiles in a 3D space, with items like the trees currently forming in two dimensions as we don’t have a 3D model yet. These photos are taken from the rough draft creation of Route 1, which is a smaller route that features a cliffside to the right and a flowing river that continues down into the later routes and the next major town. As stated, this process requires more effort when compared to an RPGmaker map, and as such the mapping section of the team has been moving slower to make sure the quality is top-notch. To help speed things along, and potentially bring a demo sooner for players, we’re hoping to hire more mappers to join the team that would be interested in working on a Unity-based fangame. If you are interested, please click the link here to go to our applications page! Since the beginning of February, Team Olympus and Team Asgard have been exciting pieces for us on the team to reveal each month. With exception to March, we’ve used each month to really explore these characters, and connect with the backstories of the admins in particular. This month is even more important, as it features the Seconds-In-Command for both teams: Loki from Team Asgard, and Athena from Team Olympus! Loki is a cunning, peculiar man. Very few actually know where he is originally from in Vesryn. As far as we can tell, he simply appeared out of the ether of the universe, hanging out with Freyja at the Battle Café. Loki is known to have a very sharp mind, quick to read his environment and a very tricky opponent to overcome. 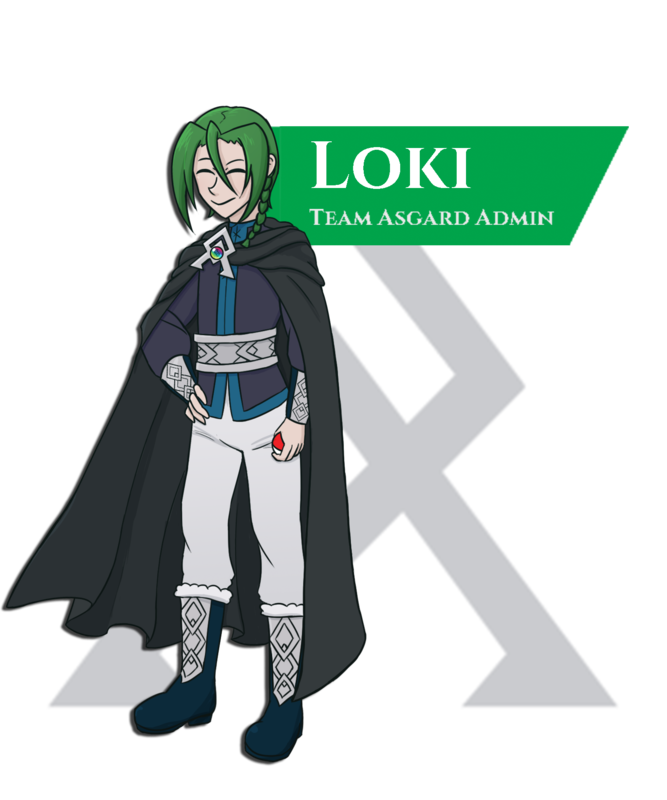 While he is one of Odin’s most trusted admins, Loki never seems to fit into the crowd, always wearing darker colors than his other teammates, and even dyeing his hair to stand out further. While his smile may seem endearing and innocent, be careful around this Asgardian; you never know what trick he might try to pull! 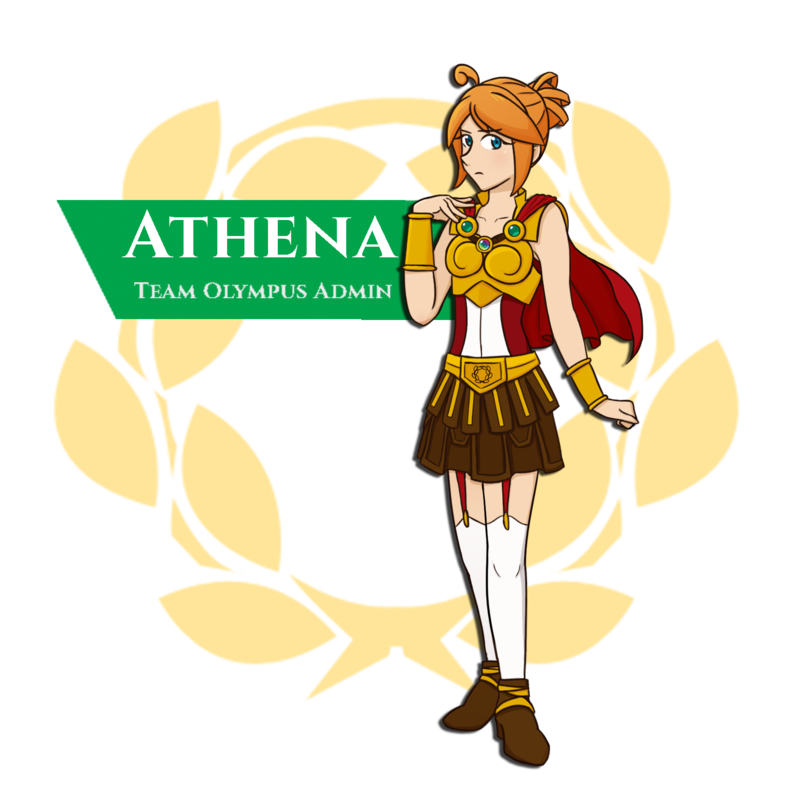 In contrast, Athena is one of the most well-known and respected members of Team Olympus. 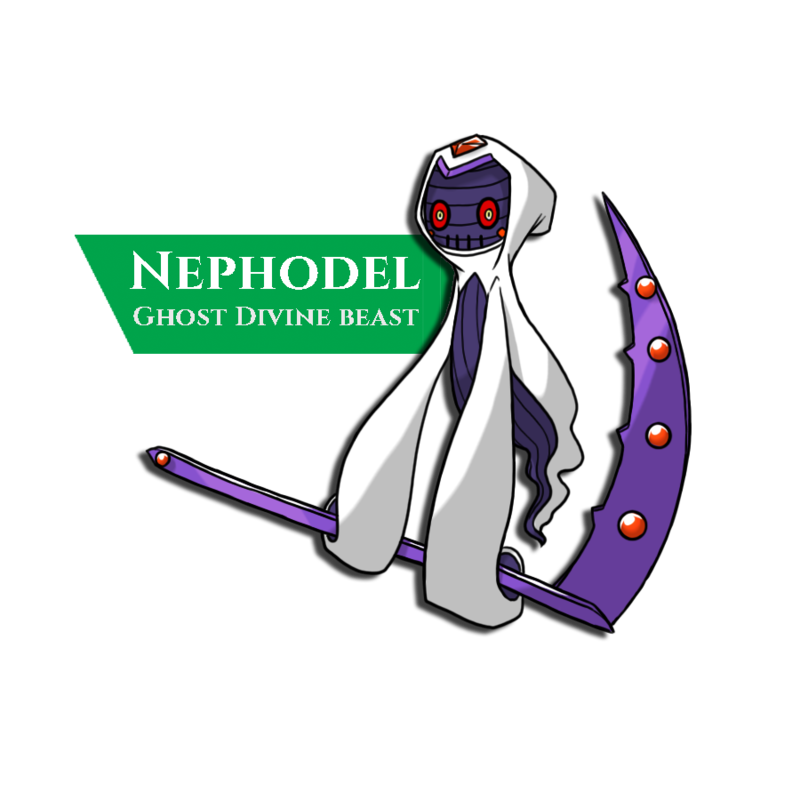 Born and raised in Sinoe City with her brother Percy, the two were always raised to be some of the most elite trainers in Vesryn. Athena is a brilliant strategist in battle, capable to switch her entire tactics on a dime to take out opponents. Her battling skills are only matched by her strong will, having been raised in a town that praised the ideals of good morals and integrity to keep the world peaceful and just. Unlike her brother, Athena wears her heart on her sleeve, her emotions and thoughts a direct reflection of who she is instead of trying to hide behind masks. While some see this as a weakness, Athena only sees it as symbol of her strong character, and will prove it against every battle with Zeus against Team Asgard. 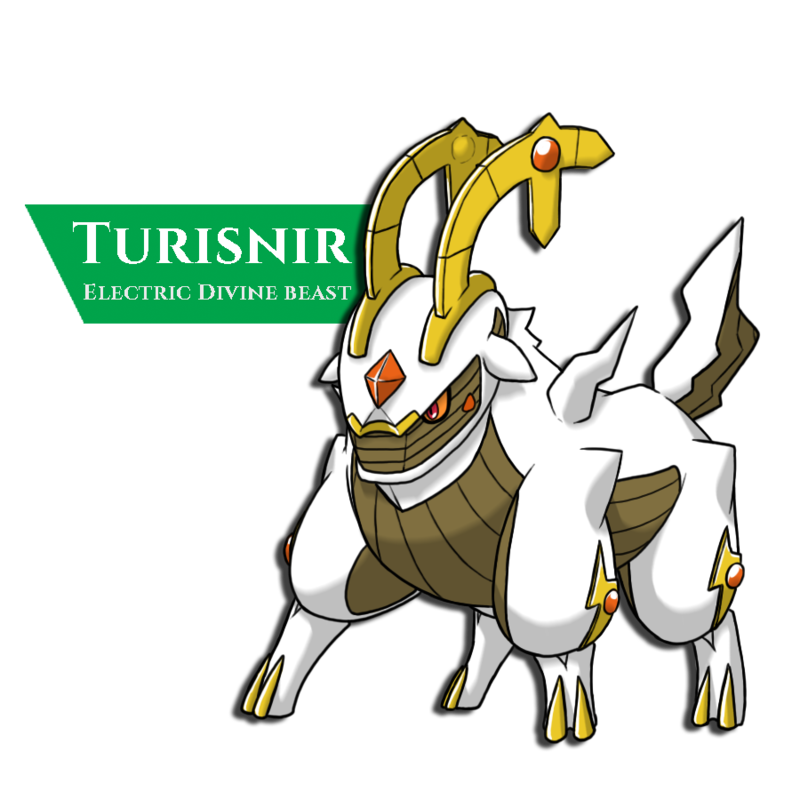 Lastly, two new divine beasts have been discovered, representing the light and power from electricity, and the spiritual energies of the ghostly realms of our world: Turisnir and Nephodel! That concludes this month’s update, but there will be lots more to show next update. Let us know what you think about the new characters and plates, and if you’re interested in joining the team, consider applying as a mapper! All reside, confined evermore, until stirred.